The short answer to this often-asked question is “yes, absolutely.” If you’ve been injured in a car accident, it is essential you hire an attorney to protect your rights and ensure you receive fair compensation. Without an attorney, you are putting yourself at risk for being taken advantage of by insurance companies and the legal system in general. Legal matters related to car accidents are complicated, and you need someone in your corner, fighting to ensure you are compensated fairly. 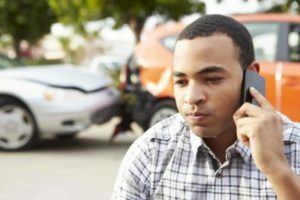 Learn more about how a lawyer can help your car accident case when you call the Connell Law Firm. A Camden, SC attorney serves several roles when they are representing you after a car accident. First and foremost, he or she is there for support and guidance. This can be one of the most frightening and intimidating phases of your life. In addition to recovering from injuries – many of which might be serious and life-altering – you are also forced to deal with insurance companies and the legal system. Your focus needs to be on recovery, but attorneys representing the defendants in your case will do everything they can to take advantage of you during this time. An attorney provides you with protection from these ill-intended individuals and allows you to focus on what matters most – your health and healing. What are some of the things an attorney will do for you while you recover from a car accident? You will want to speak to an attorney as soon as possible following a car accident, preferably while everything is still fresh. Your attorney will gather evidence related to the incident, including speaking to witnesses, collecting police reports, photographing the accident scene and the vehicles involved, and keeping a record of your injuries. The sooner, the better when it comes to bringing an attorney on board because you’ll want to begin building your case immediately following the incident. Though it’s possible for you to collect evidence related to your accident – and you should if you aren’t working with an attorney yet – it will be much easier on you handing this task over to an attorney. In addition to not needing to worry about the legwork involved, you’ll also have someone on your side who knows how to pursue the evidence. An experienced Camden, SC car injury lawyer is able to “cut to the chase” and get the information needed to build your case in the most efficient manner possible. Hopefully, this is the first serious accident you have experienced, but car accident attorneys have been dealing with cases similar to yours for years. This means they know the proper channels and can get things done faster on your behalf. One of the most difficult aspects of filing a car accident lawsuit is estimating the damages associated with your case. Though some things are cut and dry, such as the cost of your immediate medical care, other expenses are not as definitive. An attorney can help you estimate current, and future expenses related to your case and ensure you receive fair compensation for the costs incurred due to your accident. In addition to the medical bills you will accumulate in the days, weeks, and months following your accident, there might also be long-term medical costs. For instance, you might need to participate in ongoing physical therapy for years to come, depending on your injuries. There might also be medical devices that need replacing, or operations needed years in the future because of accident injuries. Some people experience emotional trauma or suffer from PTSD as a result of a car accident, and they need ongoing therapy or counseling. Your attorney will consult with medical professionals and get their expert opinions to help you determine fair compensation for your pain and suffering. You will also want to take into account how your accident injuries will affect the course of your life. Sadly, for some, a car accident changes their lives forever, and they are never the same. Though there is no amount of money that can take away the pain of knowing your life is forever changed due to someone else’s negligence, it is possible to estimate the money you’d have earned had the incident not occurred. This estimate is known as diminished earning capacity, and it can significantly increase the compensation you receive following a car accident. Since there are some factors that affect diminished earning capacity and estimated future medical costs, determining a fair amount to ask for can be a complicated process. And since these costs are estimated based on cases similar to your own, as well as your specific circumstances, it should come as no surprise they are highly contested. Insurance companies will throw everything they have at you in hopes of proving you would not have earned what you claim you would have earned had it not been for the accident. They will say you aren’t as injured as you claim or that you will likely not need medical treatment in the future. They are doing everything they can to protect their bottom line, and you deserve someone fighting to protect you and get you what you deserve as an accident victim. In addition to everything your Camden, SC car accident lawyer will do for you, perhaps the most important role he or she will serve is as your advocate. You will have someone in your corner ensuring your rights are protected and that you are no re-victimized after a car accident. At the Connell Law Firm, we have worked with hundreds of clients who have suffered injuries as the result of a car accident. We understand how difficult it can be to get your life back on track after an accident and we know how hard insurance companies make things for you to protect their bottom line. Our team wants to help you fight for what you deserve. We will do everything in our power to get you fair compensation and ensure you are not a victim of insurance company greed. For more information or to schedule a free consultation to discuss your situation, contact us at the Connell Law Firm at 803.310.5700.